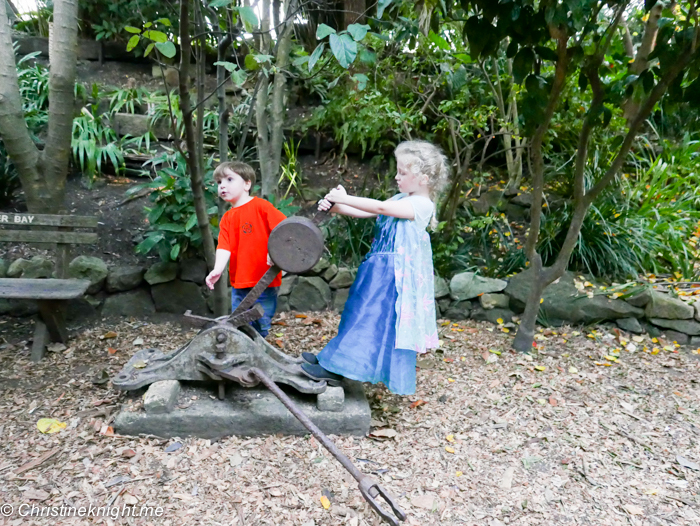 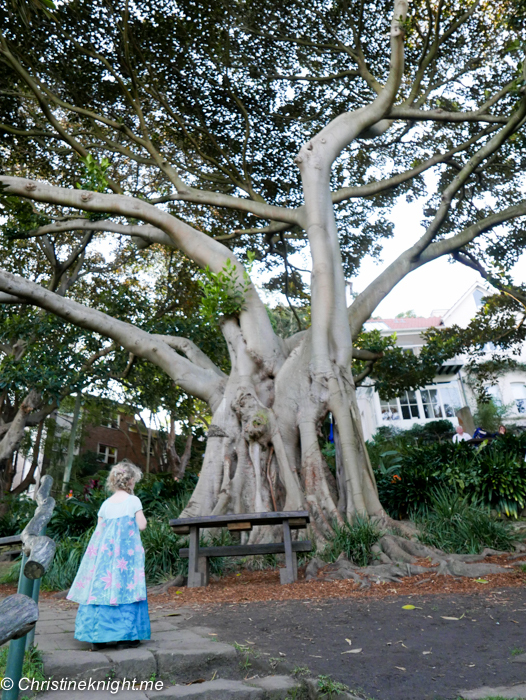 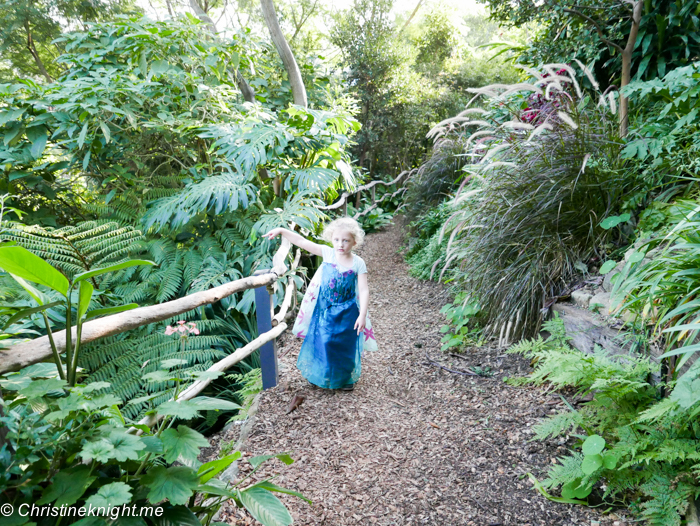 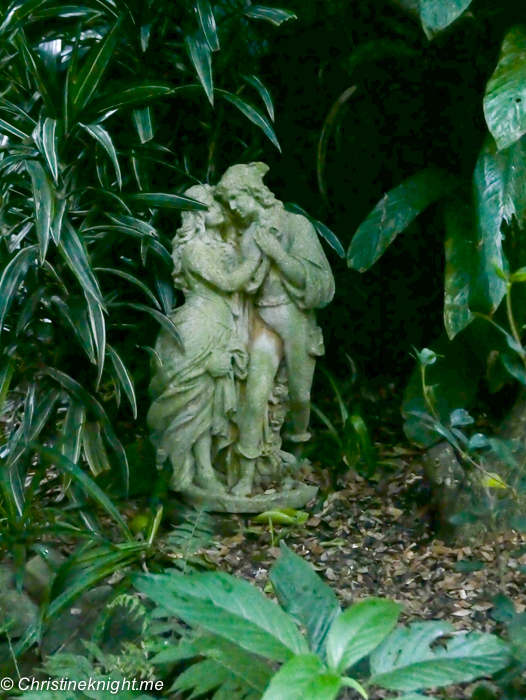 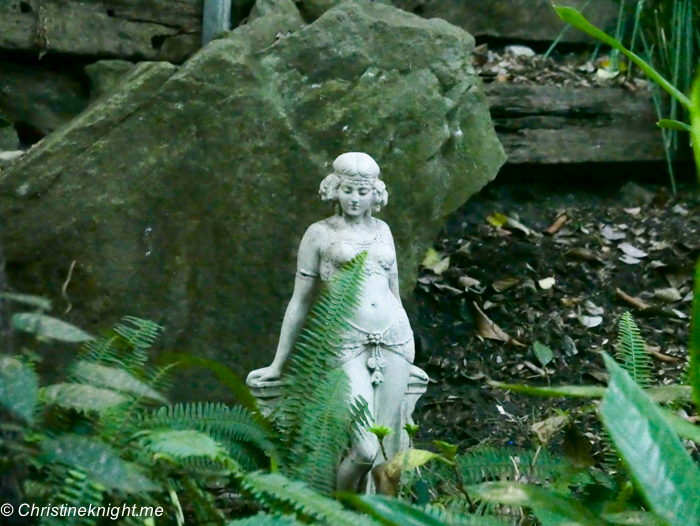 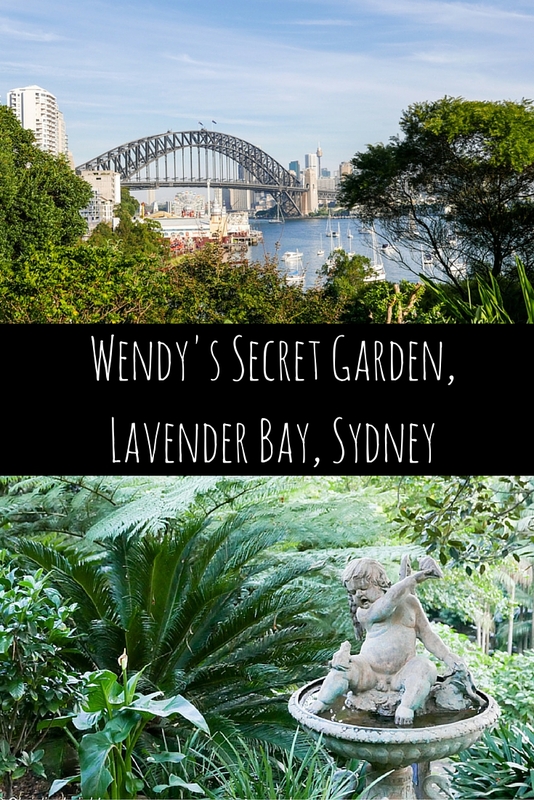 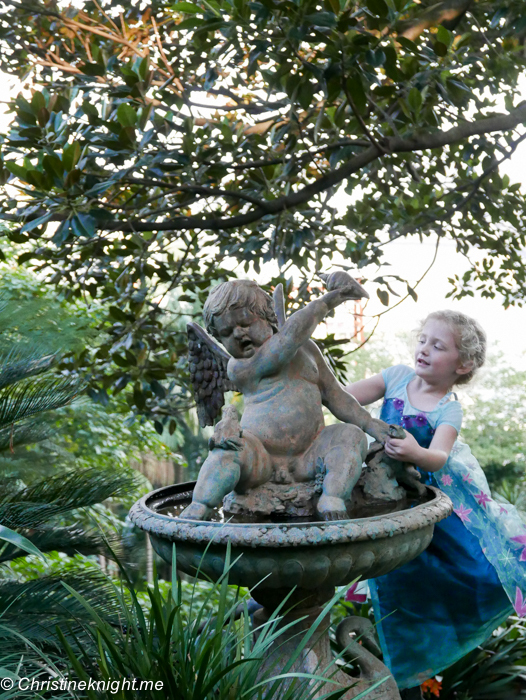 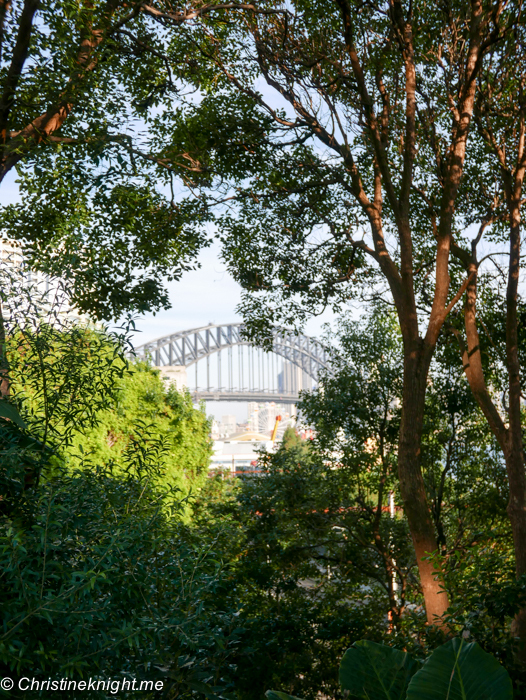 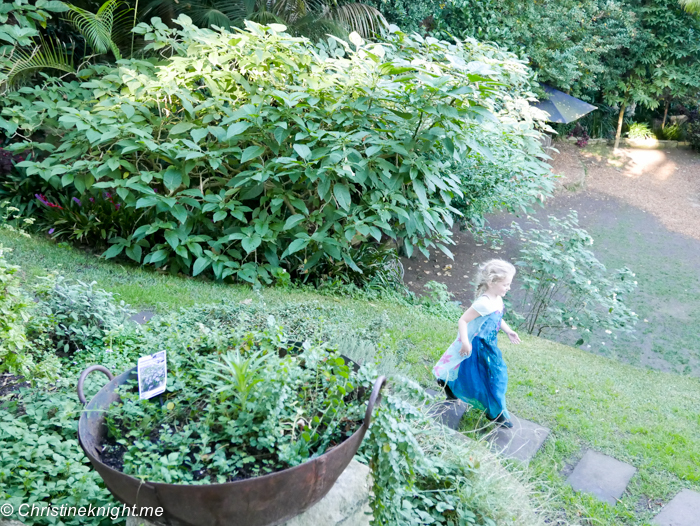 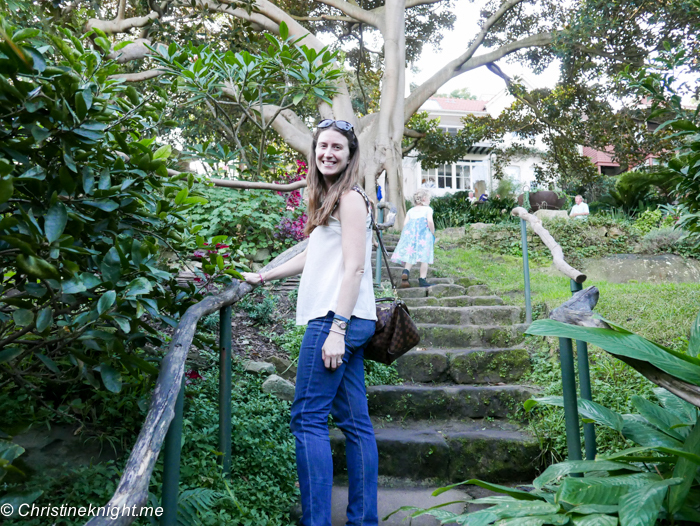 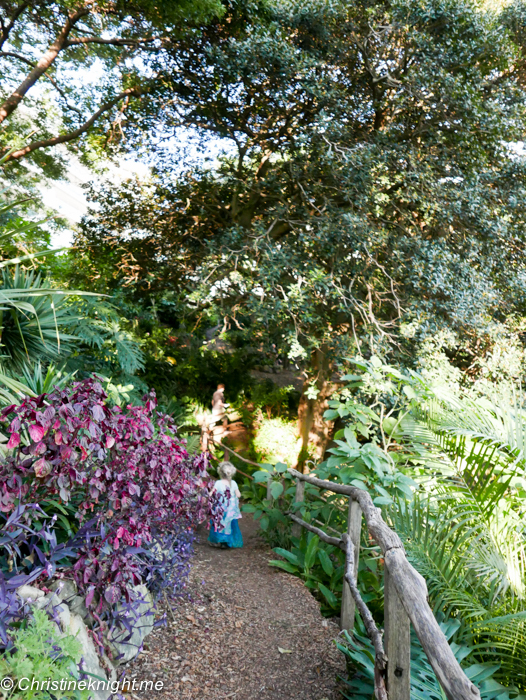 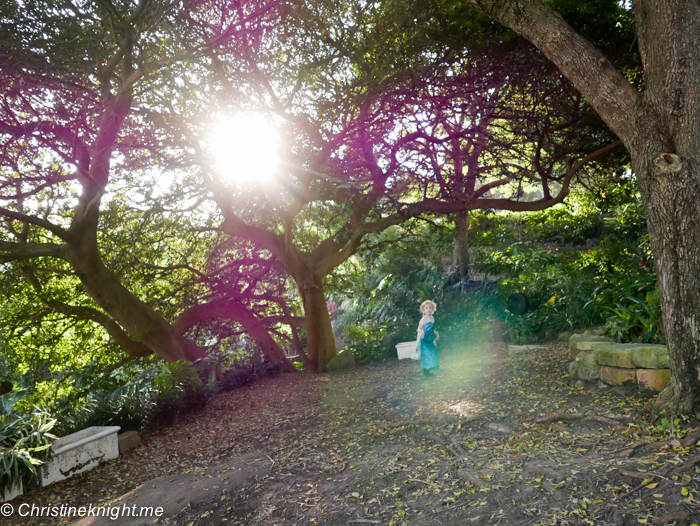 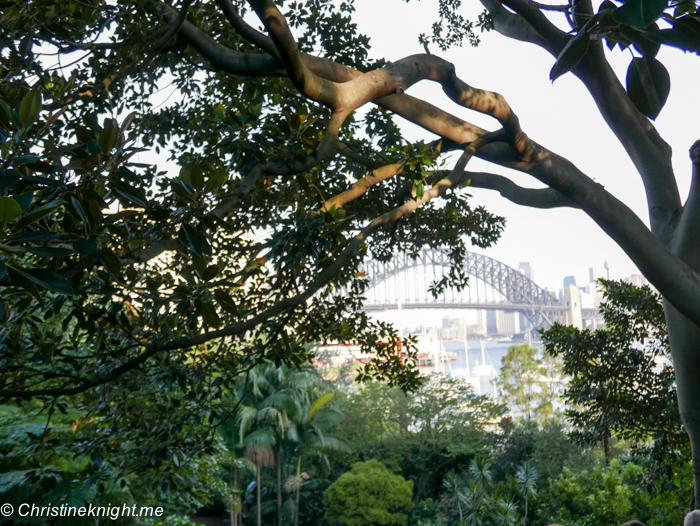 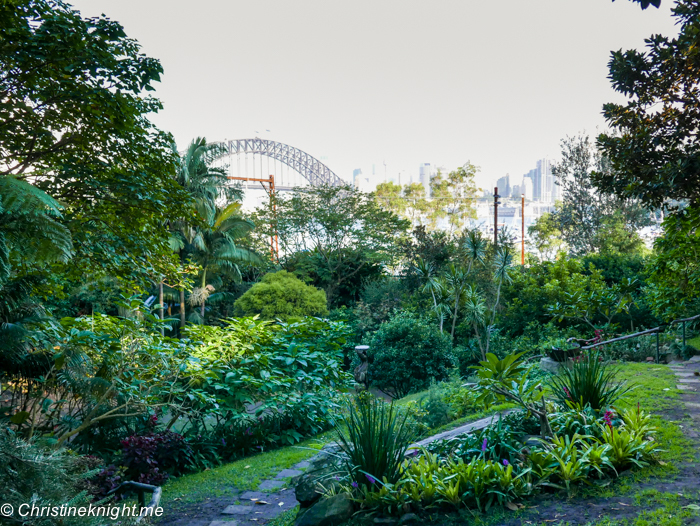 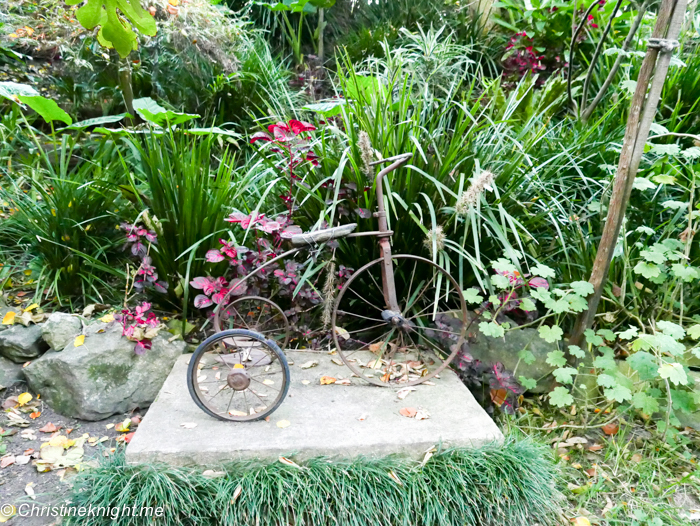 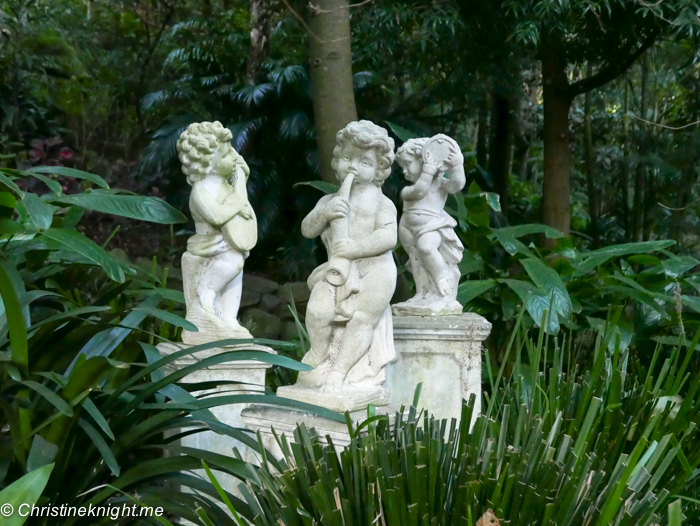 Secret Sydney: Wendy Whiteley's Secret Garden - Adventure, baby! 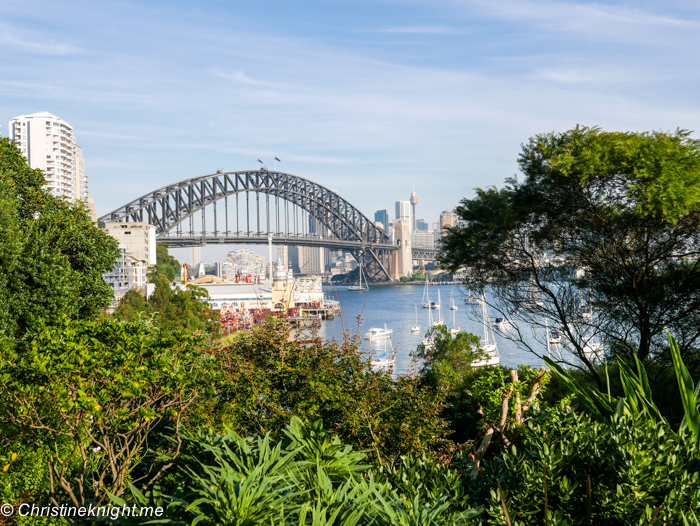 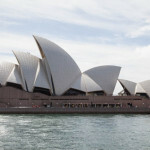 Sydney’s Lavender Bay is the perfect spot to enjoy the spectacular Sydney scenery and let time pass by. 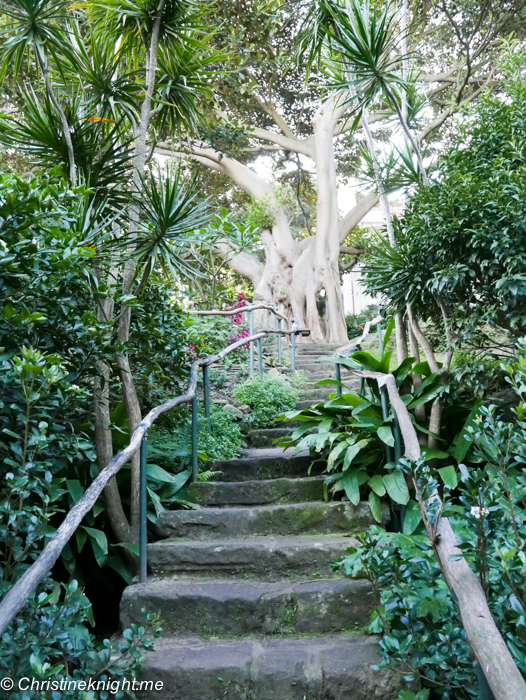 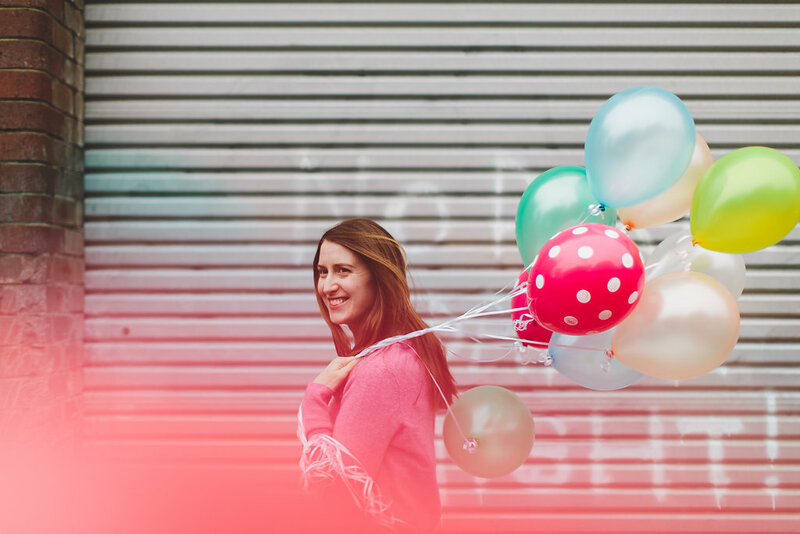 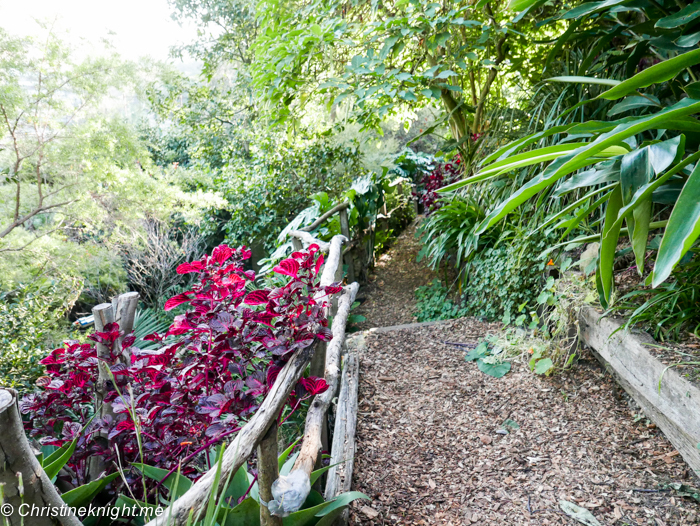 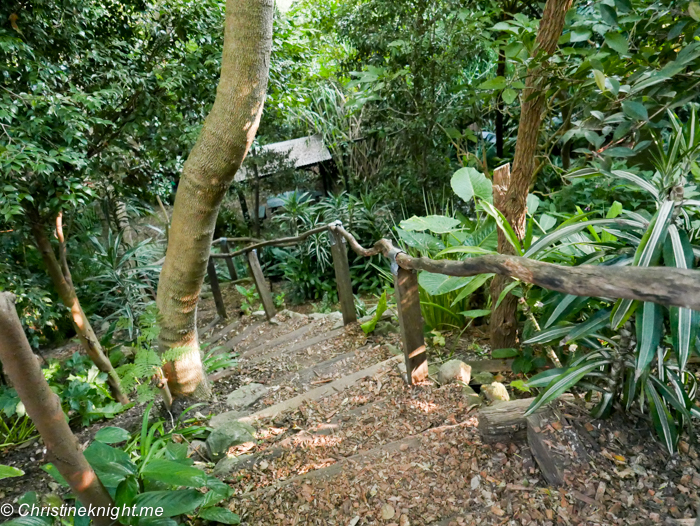 If you turn your back to the gorgeous view and walk a up a stealthy flight of stairs, you’ll find yourself somewhere a bit magical – Wendy’s Secret Garden. 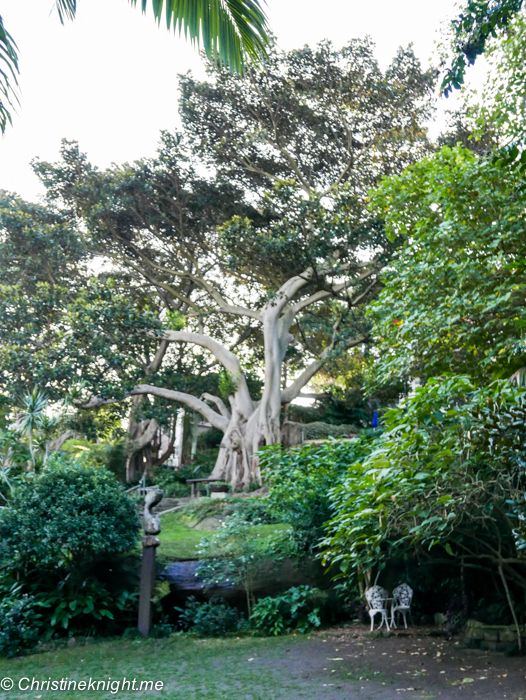 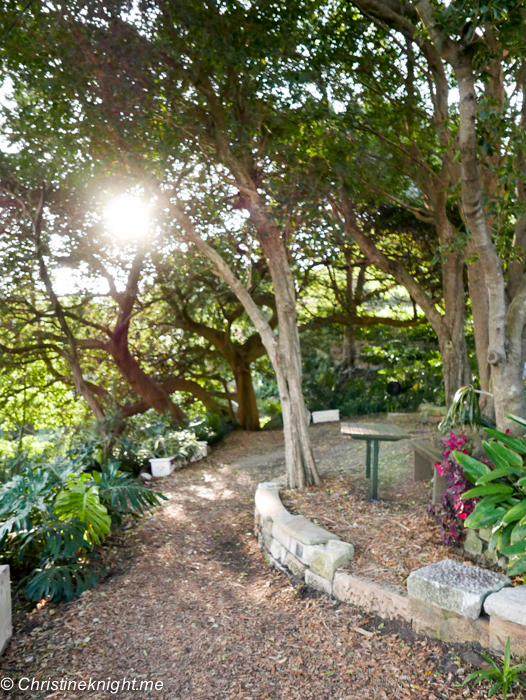 The garden was created in 1992 by Wendy Whiteley, wife and muse to artist Brett Whiteley, following her by then ex-husband’s death. 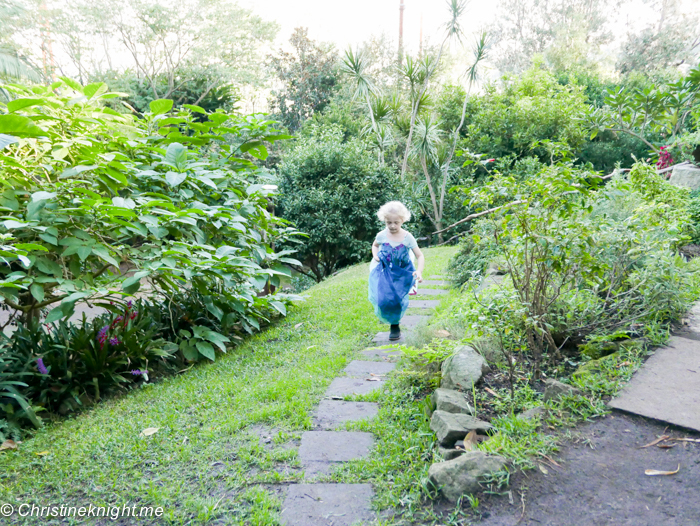 Before Wendy turned the patch of land into the whimsical retreat it is today, it was a dumping ground, overgrown with weeds. 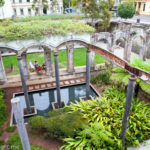 The lot is officially owned by NSW State Railways, but after Wendy’s incredible efforts to turn it into a treasure to be enjoyed by the general public, the government has agreed lease the land to North Sydney Council on a 30-year renewable lease, securing it for hopefully generations to come. 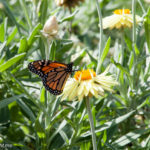 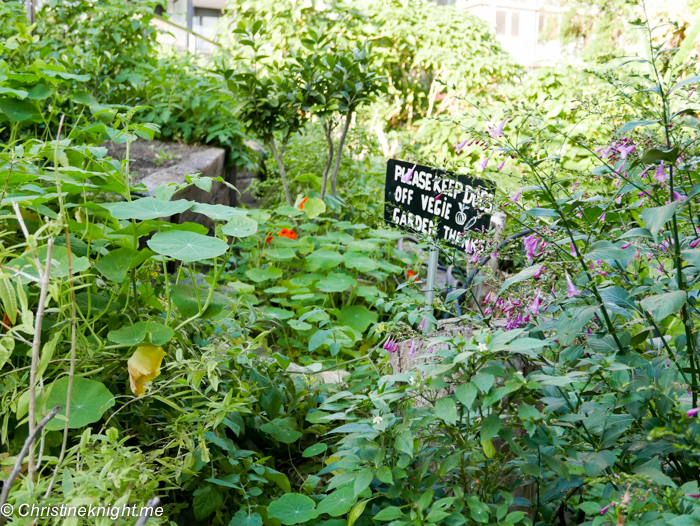 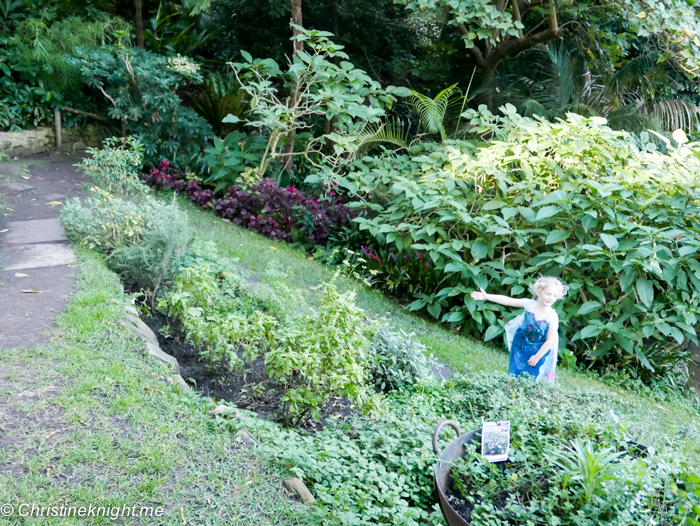 The garden lies beneath the home Wendy shared with her husband and their daughter, Arkie. 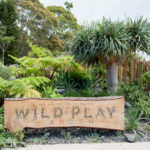 What started as a therapeutic way for Wendy to channel her grief following Brett’s death turned into a creative outlet for her, and a sanctuary for locals and visitors. 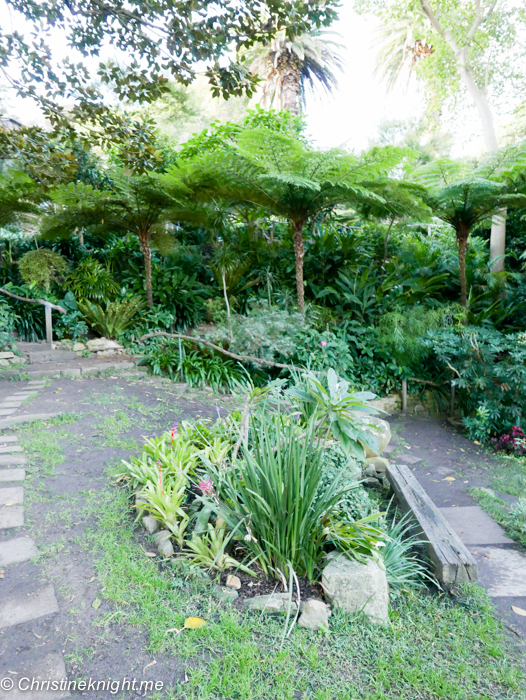 Wendy invested millions of her own money into the project, with the resulting garden filled with tall Moreton Bay figs, flowers and shrubs. 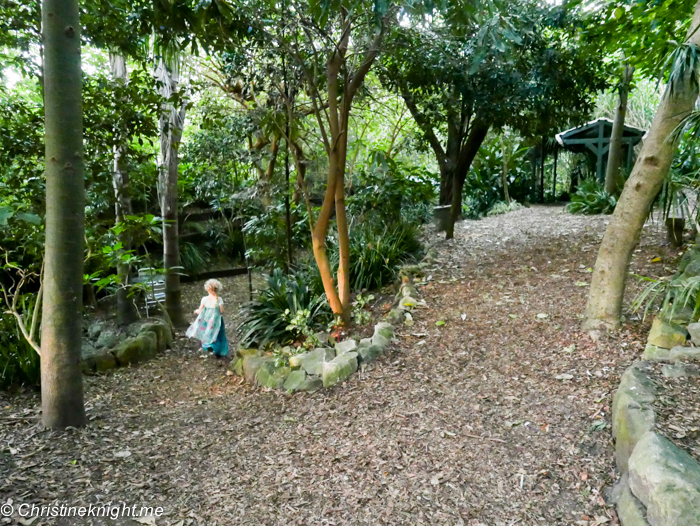 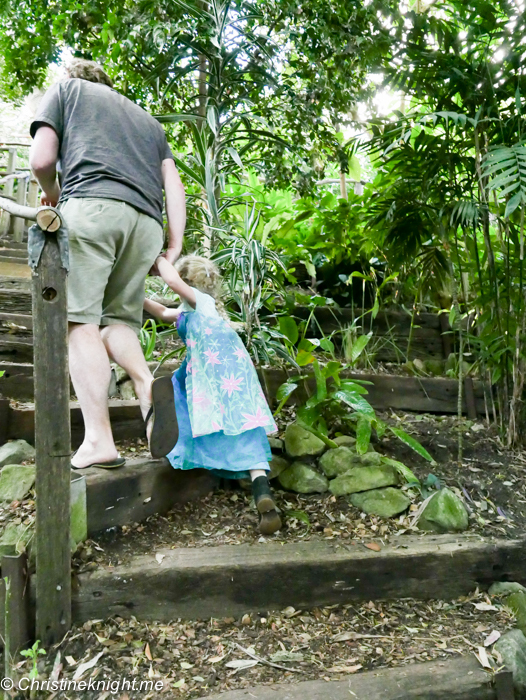 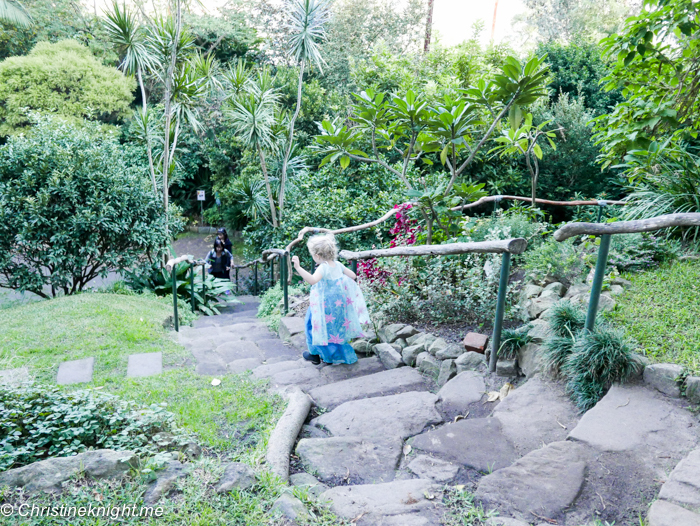 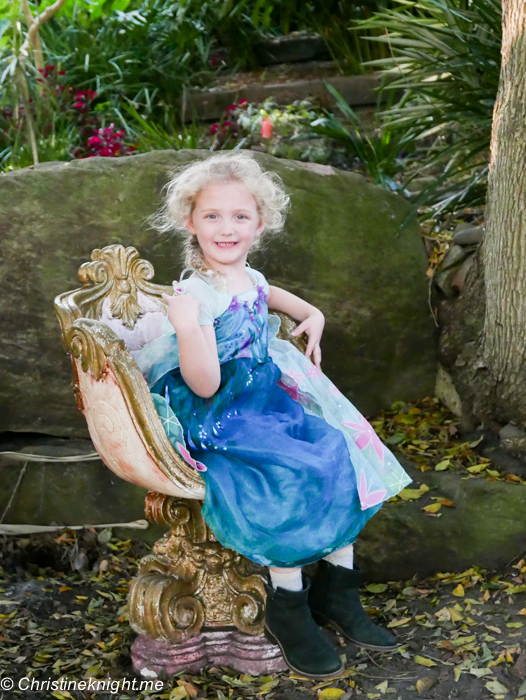 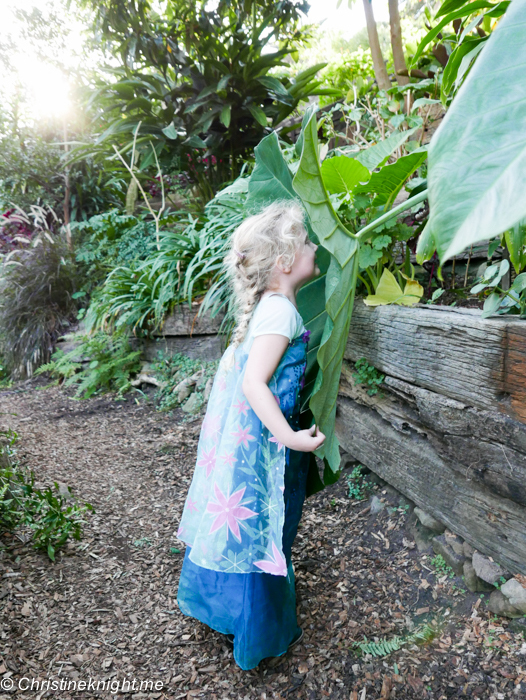 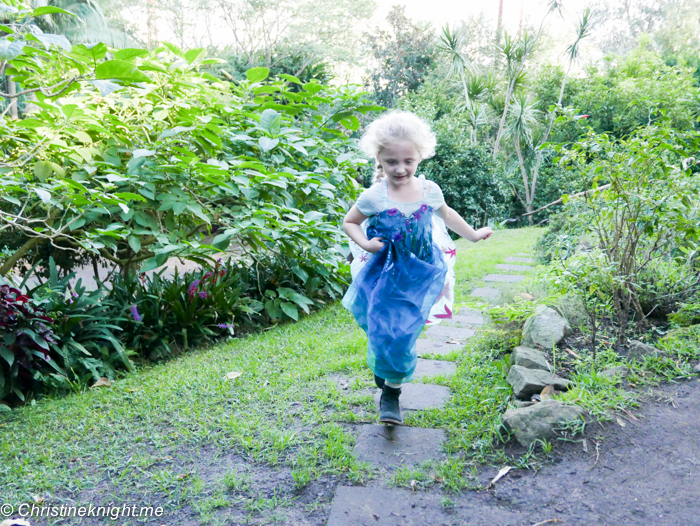 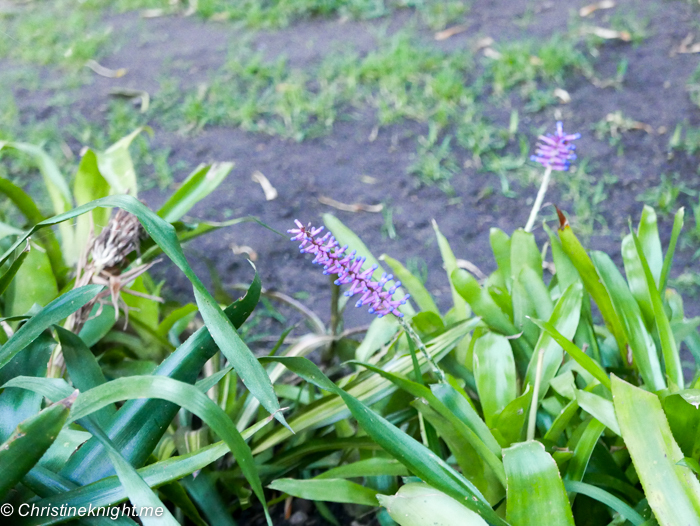 We took Cheese to visit the secret garden recently, and she, like the many other children we encountered along it’s winding pathways and steep climbs, was enchanted by the hidden trails, secret sculptures and beautiful plants. 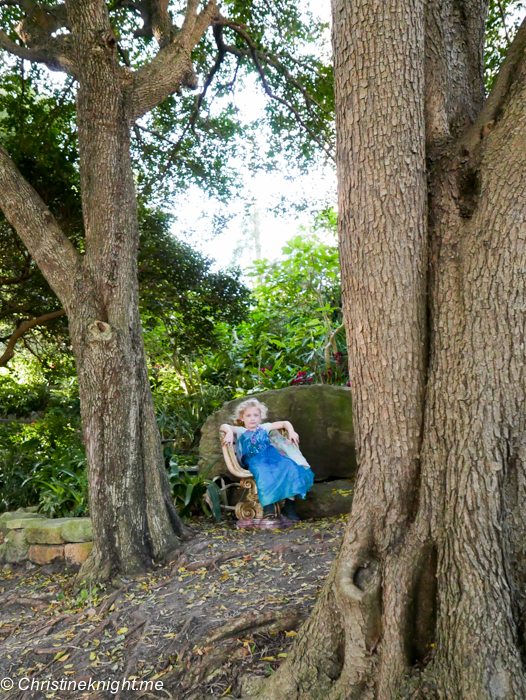 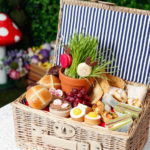 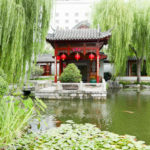 Many families we encountered had brought a picnic and whiled away the afternoon at the various tables, chairs and benches set up for general use, while their kids enjoyed discovering the secrets contained in the special garden.